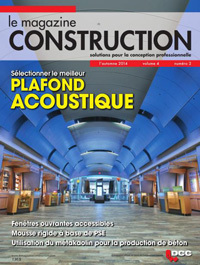 Le Magazine Construction is Canada's only French language magazine edited exclusively to meet the needs of architects, engineers, and design professionals who specify building products. Built on the same foundation that has made Construction Canada the country's leading architectural publication, this dynamic new magazine offers solutions to construction challenges, thus providing advertisers access to a unique target market of French speaking decision-makers in the architectural/engineering/construction community. 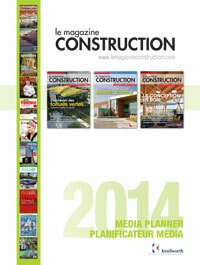 Subscribe NOW and receive Le Magazine Construction for FREE! 2014 media planner is available for download here.